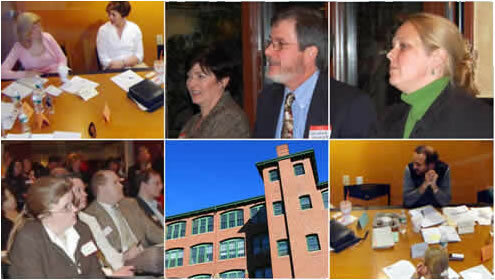 The Marketing Professionals Network, or MPN, is a 20 year-old, Boston-based networking group of professionals who are experienced in selling, advertising, marketing, communicating, and/or promoting an organization’s products and services. MPN Is Celebrating Its 20 Anniversary This Year! Actually, it’s twenty “odd” years! As MPN has been running for more than twenty years. We’re just not sure of the exact date, so we figured we’d take a shot at it and have a good reason to celebrate. Although the improved employment picture is reason enough for any job seeker to cheer these days. MPN was the brainchild of a handful of enterprising direct marketers who were struggling to find work in the teeth of the regional recession of the early 90s that was probably as tough for job seekers as the one in 2008. It became formalized under the wing of NEDMA and then went on to help literally hundreds and hundreds of people find solid, career-enhancing jobs. To celebrate the date, MPN is having a Gala Fall Soiree on November 5th for MPN members and their guests. (All guests must be accompanied by a member.) It will be at Stellina Restaurant in Watertown Square from 6:00pm to 9:00pm. a) A short intro from each attendee — we’ll use the “3-floor elevator speech” rule of thumb. b) A period for the structured exchange of job leads. Attendees must make every effort to offer up at least one job lead (if not more) for someone else who attends. c) A Table Topic covering a subject of current value to job seekers, such as How to Create a More Compelling LinkedIn profile or How to Use Social Media in Your Job Search. the groups section on LinkedIn and then Request to Join. An Admin of the site will approve you. 4) To post a job lead on the site, post it in the Discussions section and tab it as a “Jobs Discussion”. Do not post it under the LinkedIn “Post a Job’” link, as you will be required to pay a substantial amount; and this is merely passing along information to others in the network. Leads will show up best if you click on "Recent". 5) We will run more Workshops this year... and publish a schedule of them well ahead of time so you can plan. 6) A Soiree (the large group MPN networking meetings held in the evening) is scheduled to be heldon March 5th. Most importantly, some MPNers have already received and accepted very good job offers — so 2014 is off to a good start!